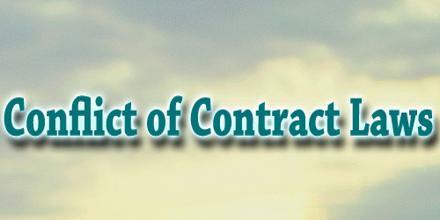 This article describe to focus on Conflict of Contract Laws, where the validity of a contract with one or more foreign law elements will be decided by reference to the so-called “proper law” of the contract. The apparent advantage of this approach was that the rule was easy to apply with certain and predictable outcomes. Unfortunately, it was also open to abuse, e.g. the place could be selected fraudulently to validate an otherwise invalid contract; it might lead to the application of laws with no real connection with the transaction itself, say, because the parties signed the agreement while on holiday.